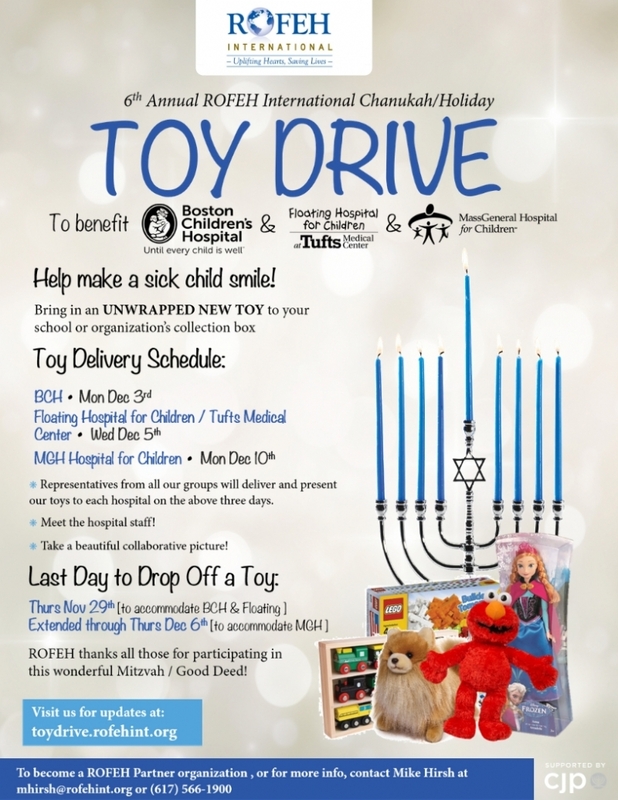 Once again Chabad of Newton Centre is proud to partner with Rofeh's Toy Drive. Please drop off Unwrapped New Toys at Chabad by Sunday, December 2. Toys can be dropped of at Chabad in the decorated toy box.